Every year Punjab Examination Commission (PEC) conducts the 5th and 8th class examinations. 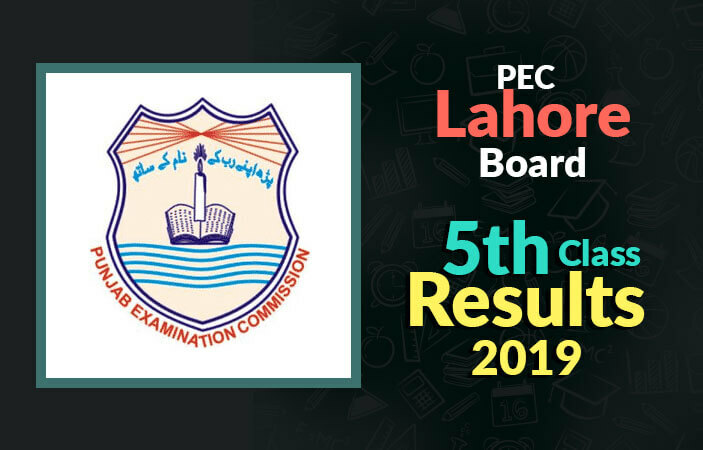 Lahore Board is also under the supervision of the PEC. As the exams were over in February this year so BISE Lahore Board 5th Class Result 2019 will be declared on 31st March, 2019. The same date applies for all the districts under Lahore Board. As soon as the result is declared by the PEC, BeEducated will post the result here as well. Keep visiting our site for more updates and news. There are a total of 9 boards under the supervision of Punjab Examination Commission. Every board further has different districts in which it takes examination on the behalf of PEC. Lahore board has Okara, Kasur and Nankana Sahib under its supervision of 5th class annual examinations. As PEC cannot oversee every district on its own it is helped by the various boards across Punjab. In this way the examinations can take place in fair environment with no possibility of cheating. These boards including Lahore Board help organize, start and successfully conclude the examination by giving the results. 5th Class Result 2019 is going to be made public on 31st of March, 2019 for every district that lies under Lahore Board supervision. There are many sites offering you to know your result this year. But BeEducated will bring you your BISE Lahore 5th Class Result 2019 quickly and with no errors. Stay in touch with this site to know about your results. Previous results and other information for 5th class is also available for you. You can browse through the different links presented here for more information.